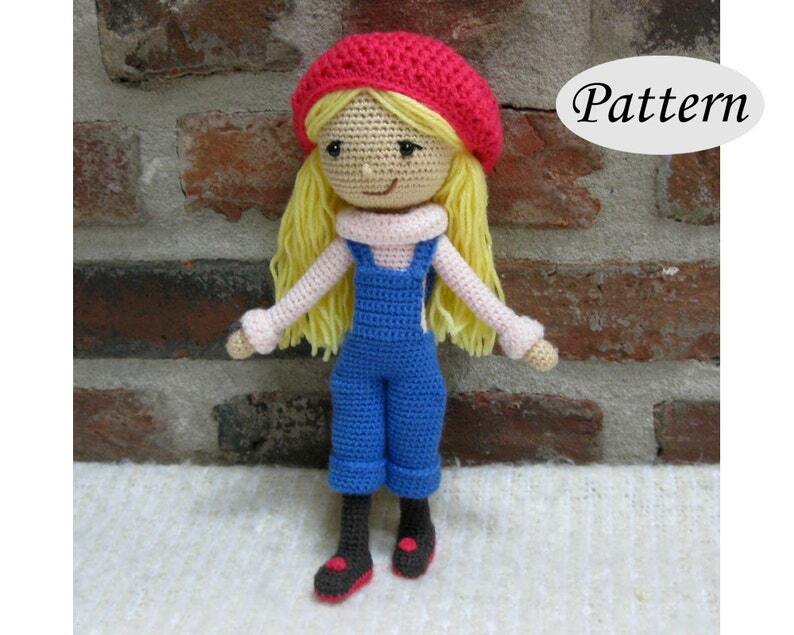 The cute little winter girl wears bright blue bib pants and a lovely sweater. The long and luscious hair is tied back and the beanie is removable. The basic doll itself is made 'in one piece' without any seams. Higher Intermediate - you will need to know how to crochet stitches like single, and double crochets, starting with a magic circle, and increase and invisible decrease techniques. There are lovely tiny details and the assembling and embellishment requires love, patience and time.